You can give Arizona’s most vulnerable children and families the gift of choice. We would like to ask you to partner with Child Crisis Arizona by providing gift cards that can be distributed to families in need. With your help, we can provide every child and every family the experience of having the gift of choice. The choice to go to a store and select exactly what will be the most beneficial for them to fulfill the basic needs for their families. Whether it is a size 10 pair of new athletic shoes for a growing teen, a parent and child being able to spend rare quality time together at the movies, or a family being able to cook dinner together, your gift card donation will give our families the independence and dignity that they deserve, and will give children in our programs the safety, comfort and joy that they need. Gift Cards also help our staff provide for children in our Emergency Children’s Shelter and other programs. Your donation of gift cards gives our professional staff the opportunity to provide and care for for the children in our programs. The needs of our children are always changing and growing, just as children change and grow! 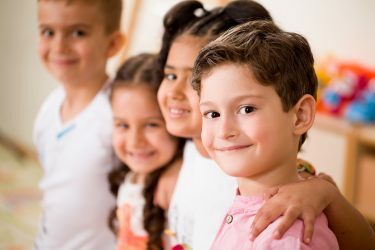 Allowing our staff the opportunity to give each child exactly what they need when they come into the care of Child Crisis Arizona is an invaluable gift. Invite others to join you and give the gift of choice. We appreciate your support. If you’d like to organize a donation drive with your company, church, civic group, or family and friends, please contact Atasha Hill to schedule a drop off time at Atasha.Hill@childcrisisaz.org or (480) 321-8946.